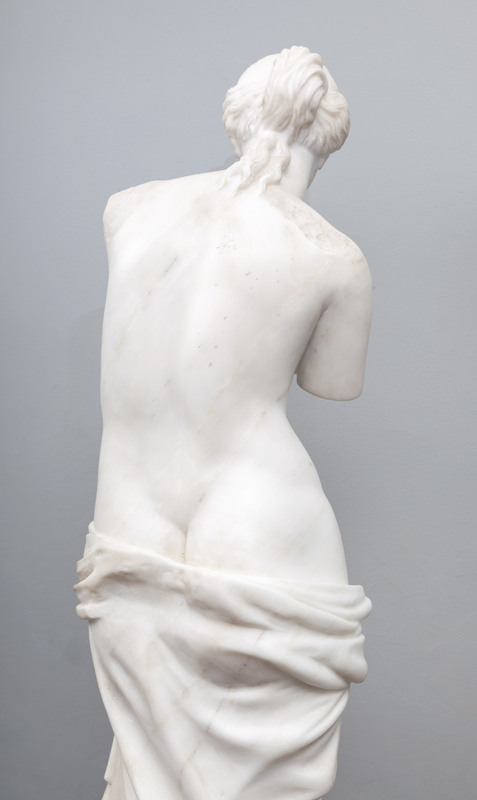 Copied from an original ancient Greek statue which stands on permanent display in the Louvre Museum. 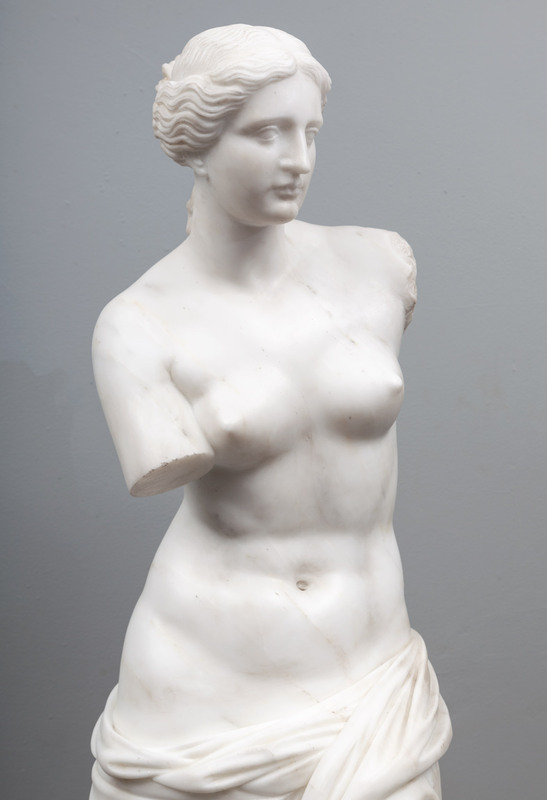 The original was created sometime between 130 and 100 BC, the statue is believed to depict Aphrodite, the Greek goddess of love and beauty. Part of an arm and the original plinth were lost following its discovery. 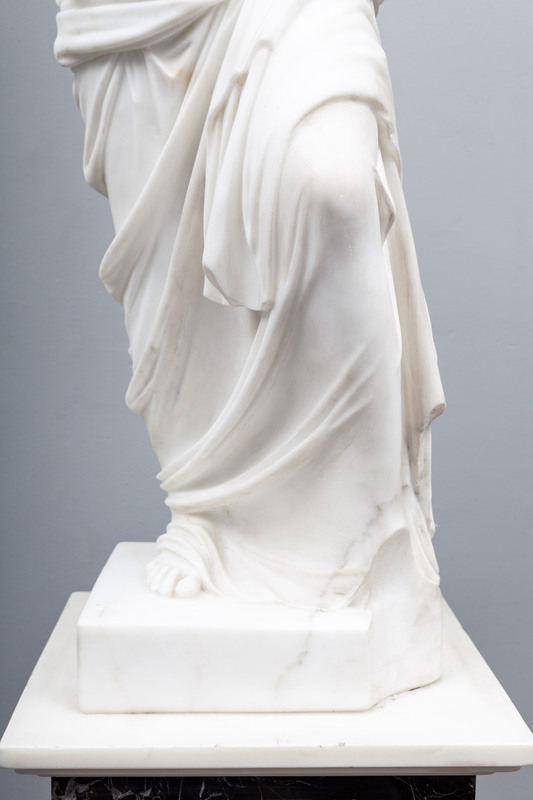 The statue is named after the Greek island of Milos, where it was discovered. 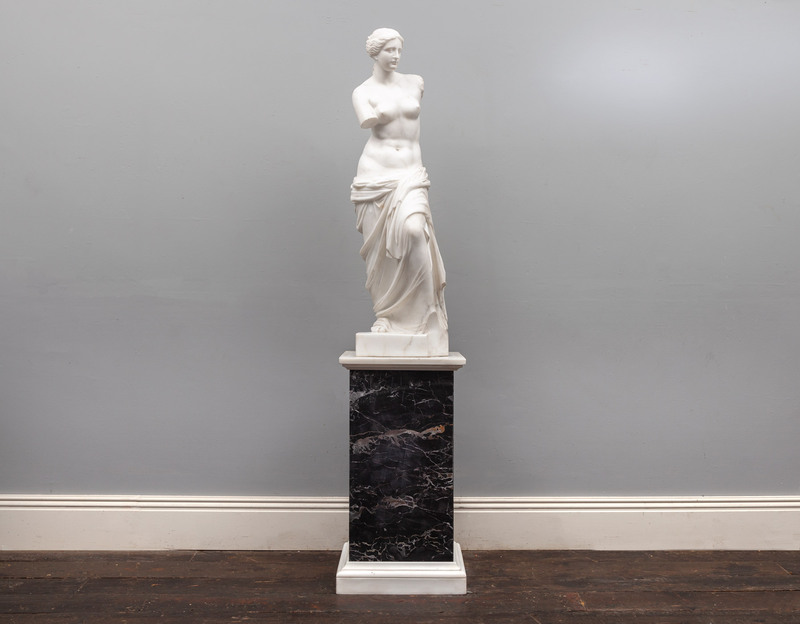 The pedestal is made from Portoro Nero and white statuary marbles.